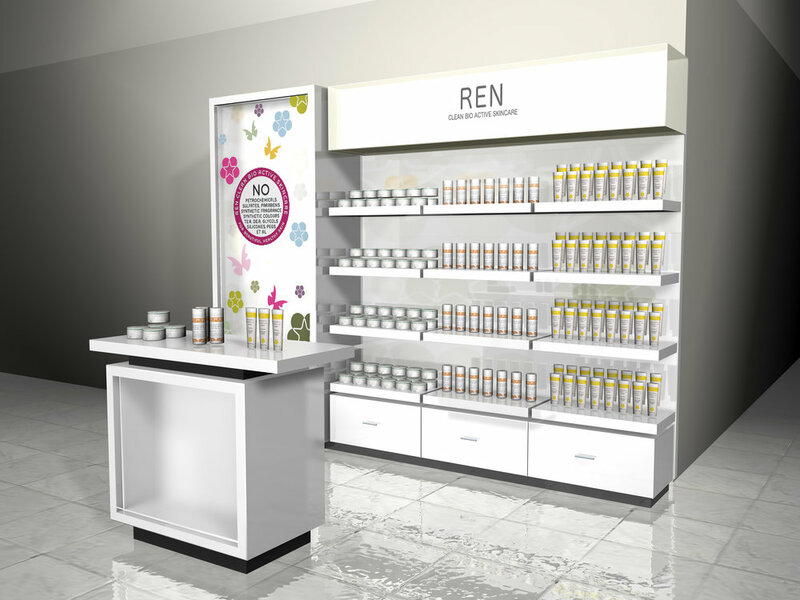 Umbrella have worked with the restricted distribution, premium skincare brand Ren since the creation of their first ever site in Harvey Nichols, Manchester. This was an opportunity to help with a short-term, pop-up installation. The brief was to quickly and cost effectively ceate an environment that was typically Ren. 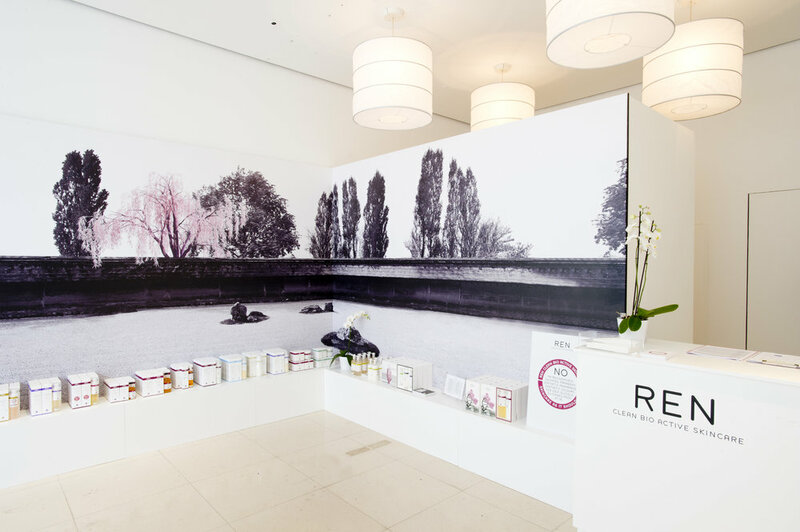 Using the existing architecture as our canvas we created a beautiful forest setting using graphics and creative visual merchandising.